There is growing concern about the high level of malnutrition in Nigeria just as recent statistics has shown that the country remains one of the first 36 in the world with the highest burden of malnutrition. According to experts, the nutritional status of many Nigerians is still far from expected, as the prevalence of all forms of malnutrition remains high. Specifically, statistics shows that about 37 per cent of Nigerian children are stunted, 29 per cent underweight and 18 per cent wasted, while micronutrient deficiencies are also high. 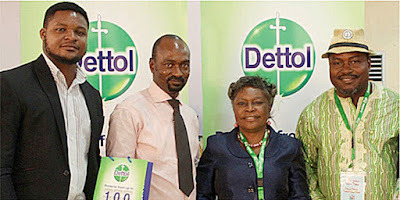 This is even as researchers from the Federal Ministries of Health and Agriculture and Rural Development, as well as Nestle Nigeria, have lamented that nutrition-related diseases continue to be an issue of public health importance in Nigeria as it slows economic growth and perpetuates poverty through direct losses in productivity. Such losses they said come from poor physical status, poor cognitive function and deficits in schooling as well as losses owing to increased health care costs. The experts, who gathered to educate journalists at the fourth annual Nestle Creating Shared Value workshop in Lagos recently, confirmed this. 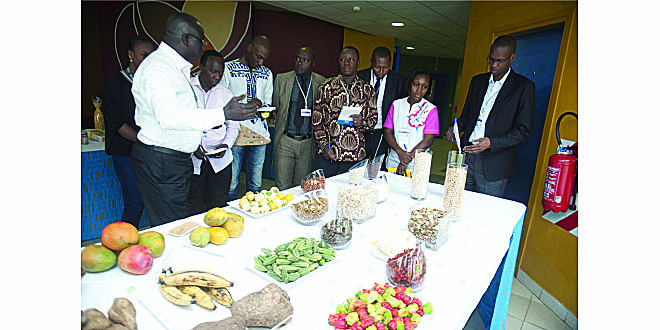 The researchers who took turns to address the issue, said food fortification has thus become necessary in the face of staggering malnutrition statistics which reveal that Nigeria is one of the 36 countries in the world that account for 90 per cent of the world burden of malnutrition. “Food fortification is the practice of deliberately increasing the content of an essential micronutrient in a food so as to improve the nutritional quality of the food supply and provide a public health benefit with minimal risk to health and it has the dual advantage of being able to deliver nutrients to large segments of the population without requiring radical changes in food consumption patterns,” said Chris Isopkwunwu, head of Nutrition of the Federal Ministry of Health. 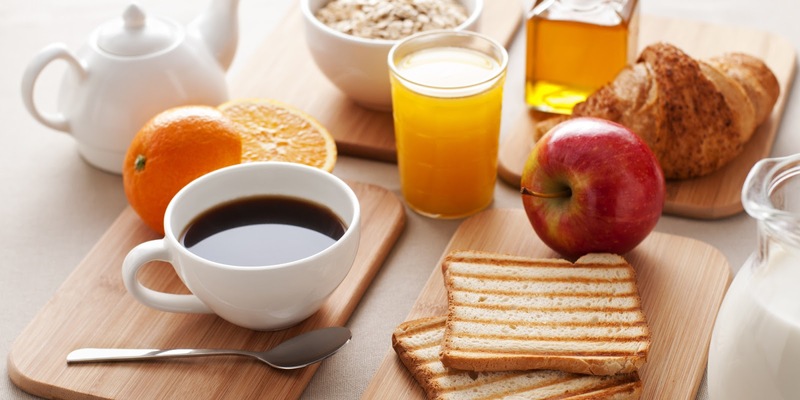 Isopkwunwu noted that food fortification is often more cost-effective than other strategies, adding that it equally has the potential to improve the nutritional status of a large proportion of the population, both poor and wealthy. Still emphasising its importance, he said that a lack of it leads to micronutrient deficiency. The nutrition expert said: “Statistics has it that 18 million children are born mentally impaired due to maternal iodine deficiency. It is the leading cause of mental retardation, and it decreases intelligent quotient by 15 points.” Similarly, he observed, vitamin A deficiency is the leading cause of blindness, and it causes one million premature deaths a year and a lack of it also causes compromised immune system. Isopkwunwu outlined the micronutrients of public health importance as iron, iodine, vitamin A, zinc, folic acid, vitamin B complexes, adding that Iron deficiency causes the deaths of 136,000 women and children annually, while I.6 million people suffer reduced productivity due to Iron deficiency. Isopkwunwu classified malnutrition as under-nutrition, micronutrient deficiency and over nutrition, while he puts fortification in different classes namely, voluntary, mandatory, home fortifications and bio- fortification. She said, bio-fortification is a global initiative funded by Gates Foundation and made possible by partners in Nigeria such as Harvest Plus. She encouraged the audience to look out for the bio-fortified cassava/garri, maize and sweet potatoes. “If you go to the website of Harvest Plus, they can give you directions online as they do online marketing” she said Meanwhile, Isokpunwu said the Health ministry saw the need for fortification in 2013 and thus in January 2015 began a pilot study on home food fortification. 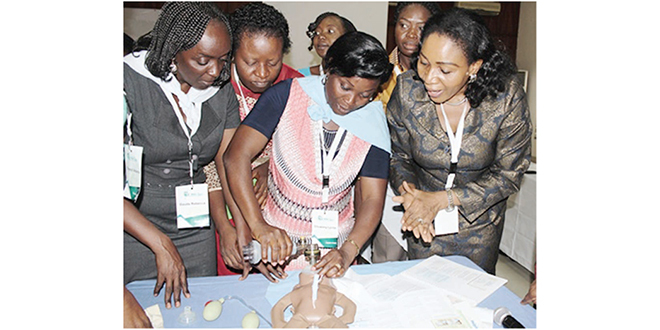 “The FMOH introduced a guideline for multiple micronutrient powders. It contains 15 micronutrients in a sachet that can be added to the food, without changing the taste of the food or altering its colour.” According to him, the Multiple Micronutrient Powder study is at the formative stage now and it is being carried out in two states – Adamawa and Benue. “These are states with one of the worst malnutrition indexes in the country. So our partners, which are UNICEF and the states governors, have shown willingness. We have identified three local governments where this will take place, after which we can then scale up.” He is hopeful that this will succeed, as Nigeria is not the first country where such will be done. Explaining further, he said that “the powder will be added to the meals of children, but the outcome of the study will show us how best to administer it and what platforms works best, whether it be through hospitals or during the maternal and child health weeks.” The 2013 National Demographic Health Survey, NDHS, shows that wasting, stunting and underweight in children are at the highest in the North east and North west of the country. Other micronutrient deficiency control measures include, dietary diversification, food supplementation and deworming. Japan International Cooperation Agency (JICA) in collaboration with the Lagos State Ministry of Health has launched the pro-poor community health project; a project that focuses on improved outreach services in communities. The project also encourages members of the community to take advantage of health care services provided at the primary health centres (PHCs) close to them. At a ceremony held recently at the Eti-Osa Local Government secretariat, Igbo-Efon, to launch the project, the Special Adviser to the Lagos State Governor on Public Health, Dr. Yewande Adeshina, explained that the pro-poor community health project sponsored by JICA commenced in year 2014 and expected to run through year 2018, adding that the aim is to expand and improve the concept of universal health coverage, reduce child morbidity and mortality and improve maternal health. She added that the project which is presently being implemented in Eti-Osa LGA is targeted at poor communities where lack of finance, poor accessibility to health services and limited knowledge about health services amongst others, is inhibiting unfettered access to health services. Adeshina listed communities which are intended beneficiaries of the project in Eti-Osa LGA to include; Ikota, Bambo, Ebute, Ajiran, Jaknde, ebeute-Ikate amongst others adding that the implementation of the project will include the administration of questionnaires to find out the challenges confronting residents of the area especially women of child bearing age in having to access to health services in the community especially at the PHC with the aim of surmounting these challenges. Said She, “some people will say they have financial barrier, some will say they couldn’t locate health facilities in their community, some may complain about the attitude of the health workers in facilities close to them while other may cite cultural or religious conviction for not patronizing these facilities”. “The questionnaires to be administered are meant to elicit response about why people don’t patronize PHCs, attend ante-natal or post-natal services in PHCs or why they choose to patronize other traditional health care providers rather than the PHCs with the aim of solving identified problems and ensuring unfettered access to health services, Adeshina said”. Decrying the low patronage at the PHC level, the Special Adviser advice residents of the area to take advantage of various health services provided at the PHCs stressing the PHCs have been revitalized to provide mostly free and affordable services adding that the State government believes that primary healthcare system is the bedrock of any health system. She gave kudos to JICA for sustaining its commitment in assisting the State government in the areas of improving maternal and child health indices and reducing maternal and child morbidity and mortality in line with MDGs four and five. Also Speaking, the Chief Resident Representative of JICA, Mr. Hirotaka Nakamura noted that JICA’s activities in the health sector is hinged on maternal, newborn and child health and strengthening the health system in Nigeria adding that the agency’s activities is evident by past projects which include the project for improvement of maternal, newborn and child health from 2010 to 2014. He noted that the first phase of JICA health project was aimed at providing intervention to health care providers through midwifery skill trainings on antenatal care, delivery management, and training on activities to improve operating environment which aims to promote the efficiency of routine works conducted at target PHCs. Hirotaka added that the phase also aim at providing intervention to community through capacity building for ward health committee, health education for male and community needs assessment, stressing that one of the outcomes of the first phase revealed that more women had enrolled for antenatal care adding however that a number of women still prefer to deliver at home rather than health facilities. “It is against this background that the current phase of the project focuses on encouraging members of the community to take advantage of the health care services provided at the primary health centres close to each community”, he said. Hirotaka expressed optimism that access could be achieved by strengthening outreach services in communities, increasing awareness about health and environmental health in community, initiating activities that help community members engage in matters concerning their health and mapping out possible solutions to challenges to access health care services and strengthen capacity of health care providers. He solicits the supports of the local government authority and community leaders for successful implementation of the project adding that cooperation and understanding for the project will no doubt ensure the effort of health workers will be worth a lot and yield the desired result.